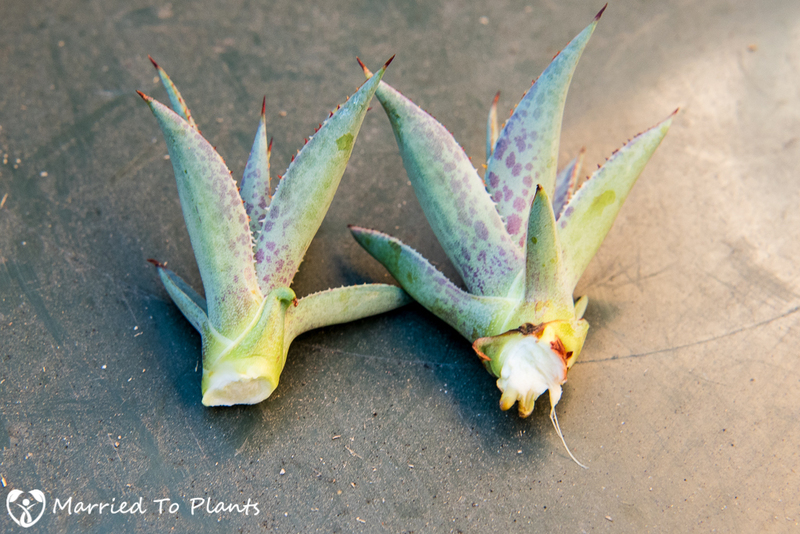 There are three ways your average gardener can propagate an agave. 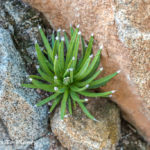 It can be grown from seed, removed as a pup or sucker, or it can be done from pulling off bulbils (also called plantlets). Seed takes too long and in some cases you might not even end up with the same plant once grown up. Suckers are the easiest. Just wait until they have a nice root structure and remove them from the mother plant. 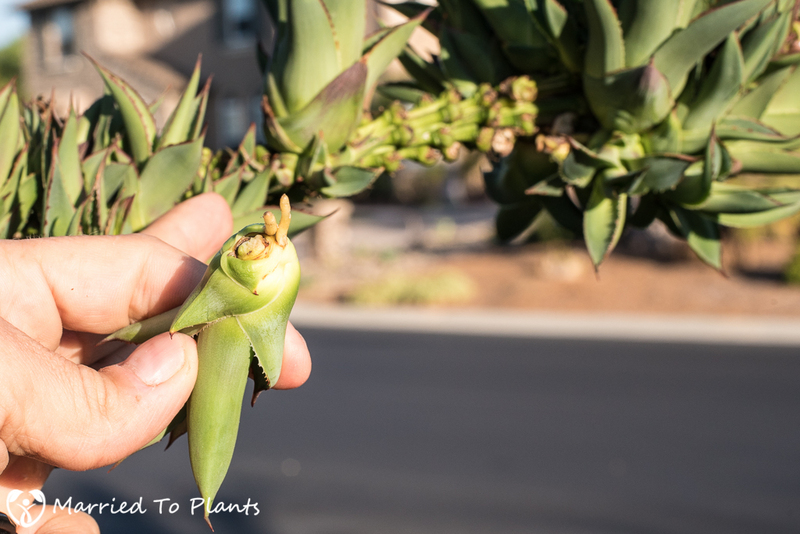 Unfortunately, not all agaves like to make pups, so you are left with growing from seed or waiting for the plant to flower and make bulbils. What are bulbils? 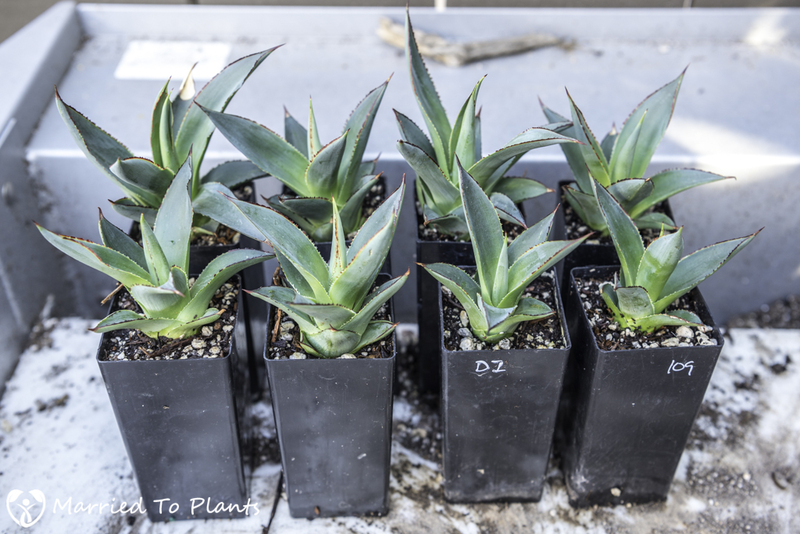 The definition is “a small bulblike structure, especially in the axil of a leaf or at the base of a stem, that may form a new plant.” This post is about agave propagation from bulbils. 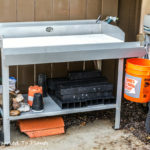 I figured it would be a good time to write this post as I currently have two non-suckering plants that have flowered and now have bulbils ready to propagate. Back in February I wrote a post on Agave ‘Blue Glow.’ In that post I showed that one of my Agave ‘Blue Glow’ was in flower. 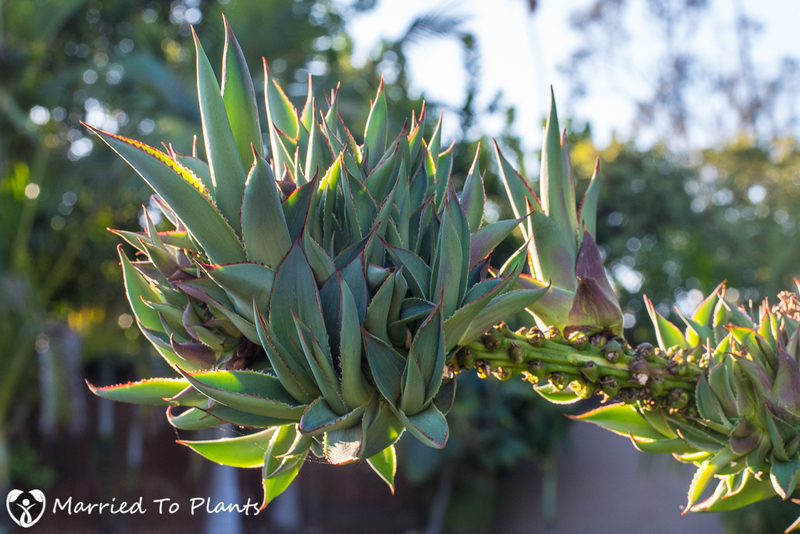 Now, almost six months later, the flower is loaded with bulbils and it is time to pull a few off to propagate, which will eventually replace other aging Agave ‘Blue Glow’ in my garden. 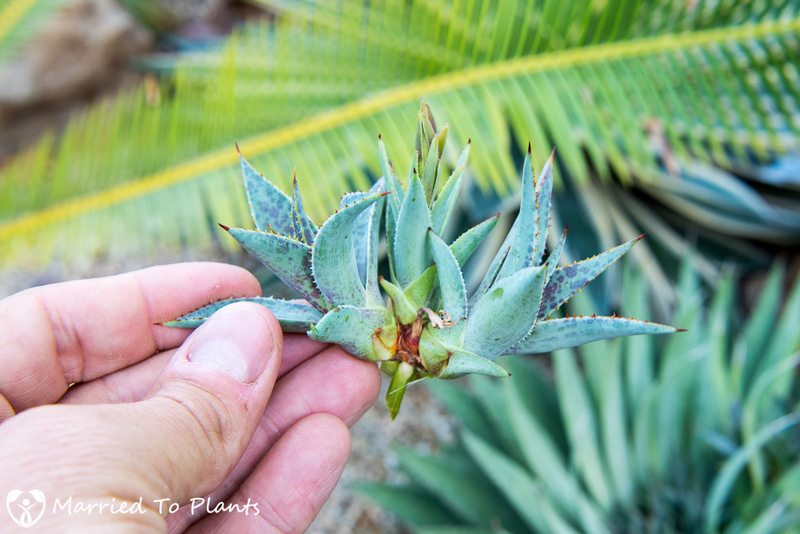 The propagation of Agave ‘Blue Glow’ bulbils is actually very easy compared to the plant I will write about later in this post. 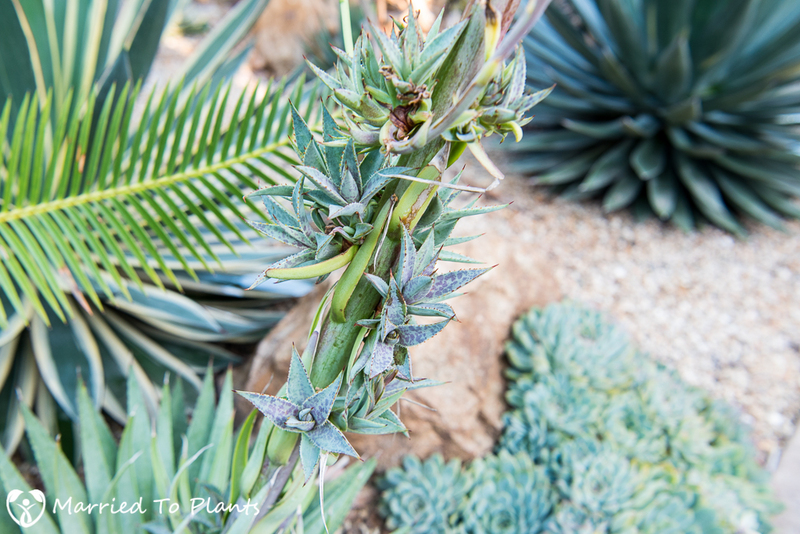 With Agave ‘Blue Glow’ it can be as easy as pulling them off and sticking them straight into the ground. 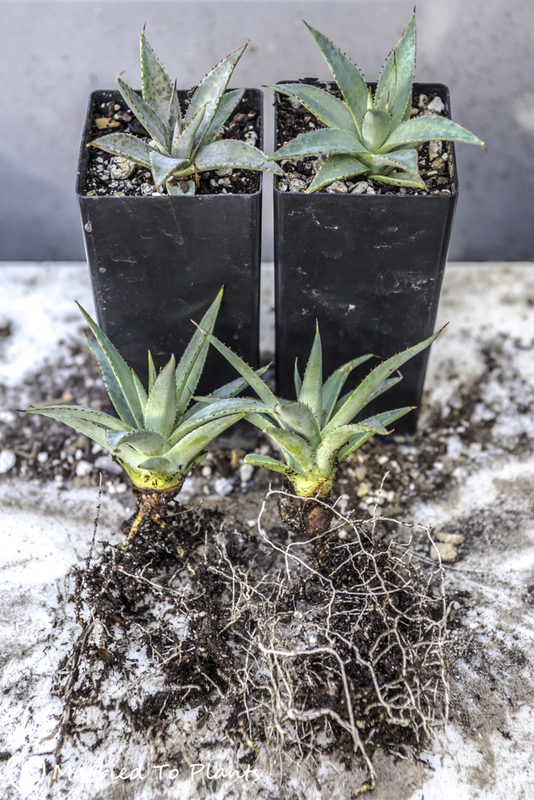 However, I like to do my agave propagation a little more carefully so I get the plants rooted quickly and on their way to healthy growth. First a refresher, here was the flower back in February. Here are the clumps of bulbils now ready for removal. The first step of bulbil removal is finding the best candidates. I prefer to find the stragglers rather than pull them out from a large clump like shown below. What I look for are the bulbils with roots already developing. 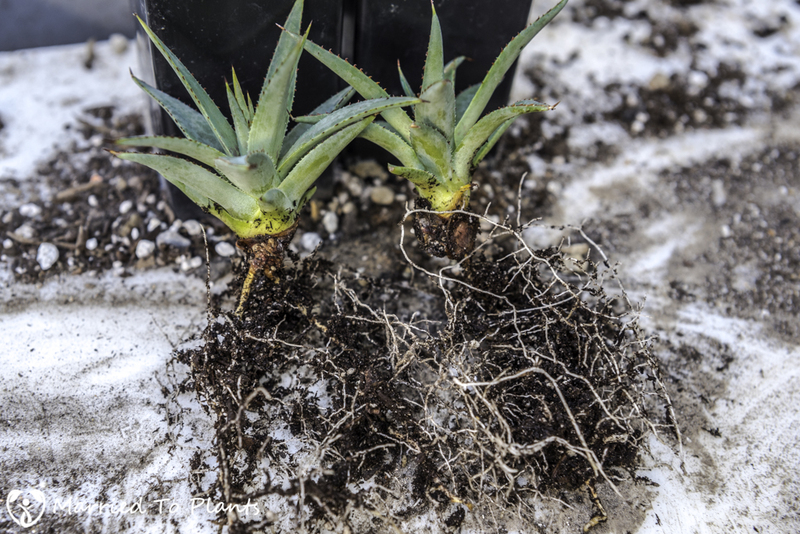 Having the beginning stages of roots like shown below makes a big difference in how fast the plant will root out in the pot and start growing for you. So how do you remove the bulbil? You just twist it off. It really is that easy. I have seen a few people recommend clippers in some cases but I find that with a plant like Agave ‘Blue Glow’ you will only do more damage with the clippers than just twisting them off. Done cleanly, you end up with something like this shown below. An example of what you do not want is damage to the base of the bulbil. This can come from yanking the bulbil off from a large clump or by being careless while removing with clippers. 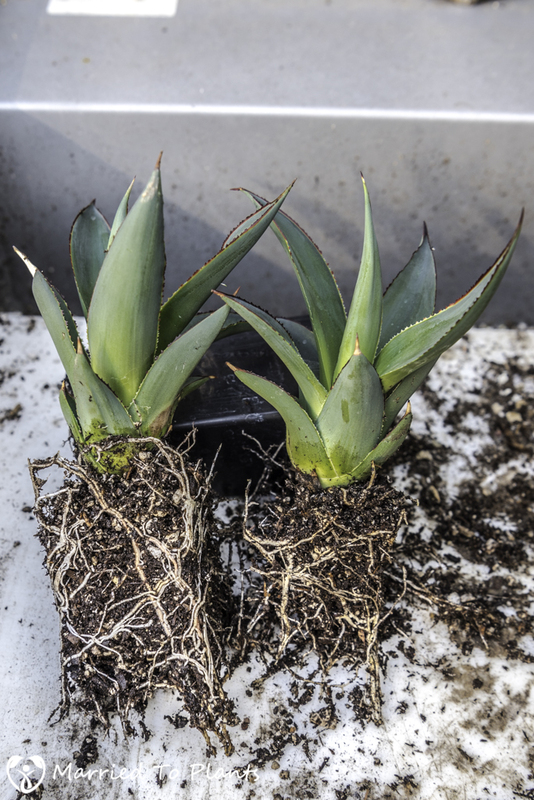 Severe damage to the base of the bulbil like shown below can lead to excess water loss and fungal rot, plus it makes it much harder or impossible to root. 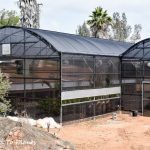 I strongly believe that for most successful agave propagation, this is what you want. A clean break with some roots already forming. The next step I take is to dry the wounds out for 48 hours. This will ensure the damaged parts are hardened off so you greatly decrease the chance of a fungal attack. 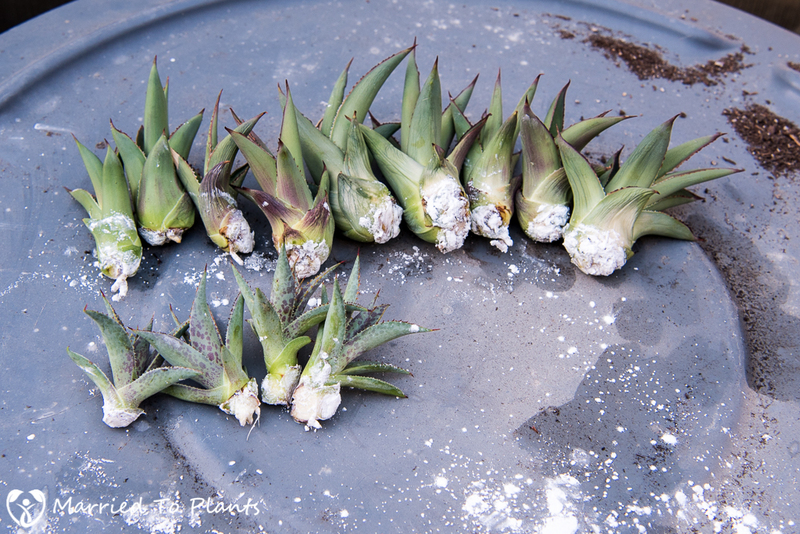 You can see that after 48 hours the bases where they were removed from the flower have dried and are ready for planting. 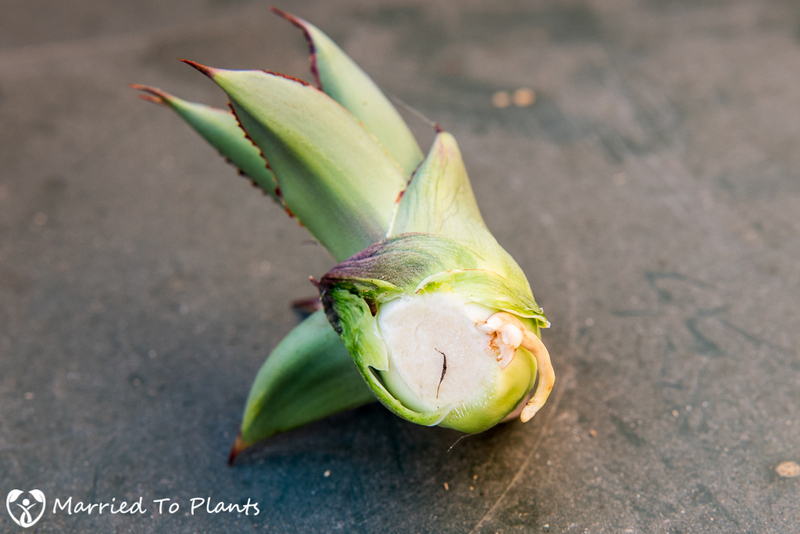 The second plant that I wanted to show you agave propagation from bulbils is actually an intergeneric hybrid between Manfreda and Agave called Mangave ‘ Bloodspot.’ This is also an example of a much harder plant to propagate. The bulbils below look like they are developing just as you saw on the Agave ‘Blue Glow’ above. When you pull the small clump off, you will need to divide the larger ones off that clump. Ideally I would have left these on the plant a little longer but I wanted to use them for an example in this week’s blog post. A comparison of how you want the bulbil to look on the right and what you do not want on the left. The plant on the right has a clean break and two roots forming. The plant on the left was broken off too far up the base of the bulbil. 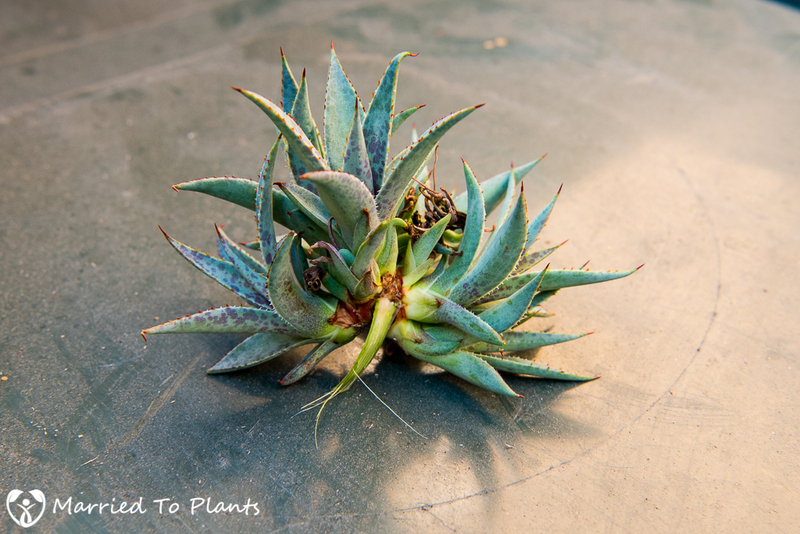 The next step most people just skip, because the reality is agave propagation from bulbils isn’t rocket science. These bulbils below will most likely root if I just placed them directly into soil. 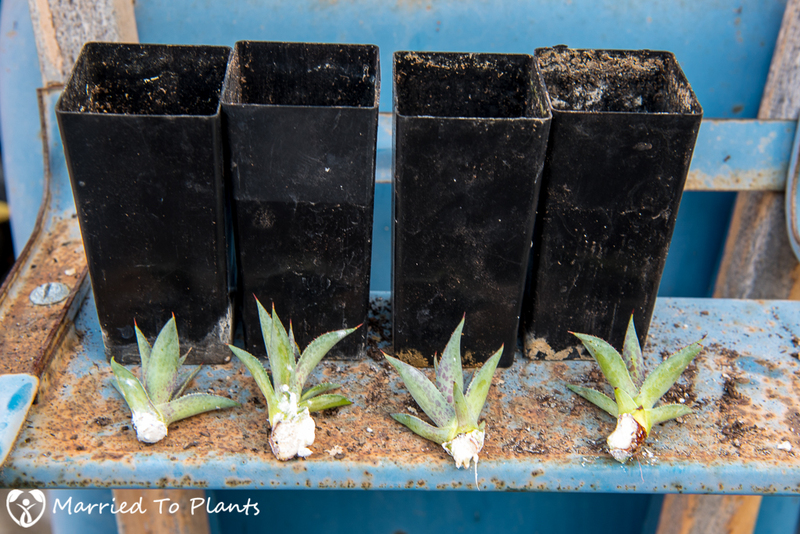 However, I like to use a rooting hormone just as an added reassurance I will get the best results for these bulbils to make strong roots so the plantlets can grow quicker. Any rooting hormone will do. 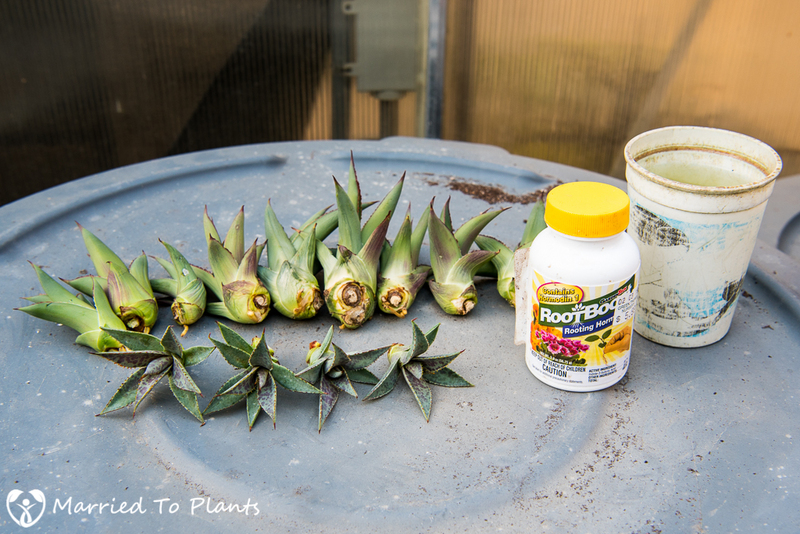 I just happened to have Root Boost handy from my Ti plant propagations I did last week. 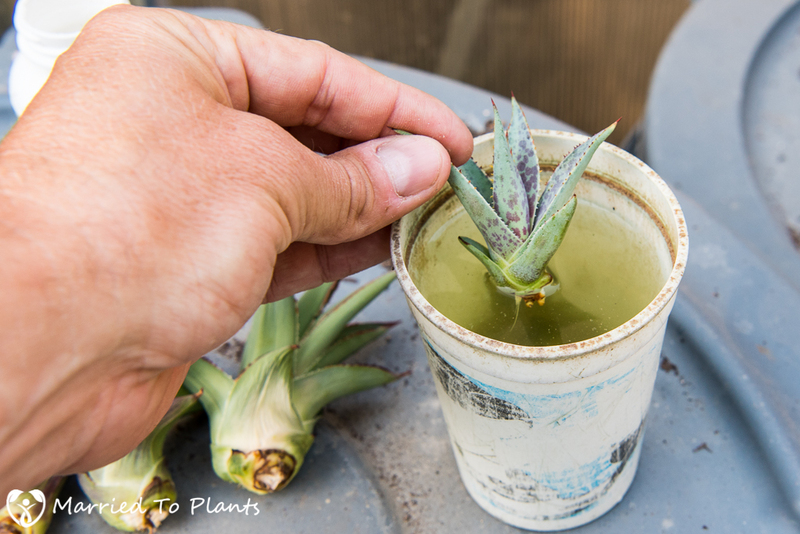 To apply the rooting hormone I simply dip the base of the bulbil into water and then dip it into the rooting hormone. 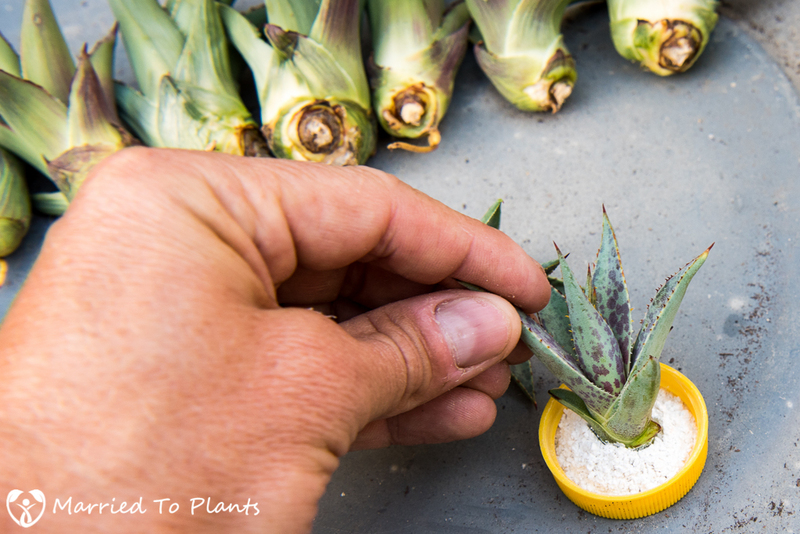 The water gets the powder to stick to the plant. All done and ready for planting into soil. I use small bands to root my bulbils. The soil I use is EB Stone Cactus Mix. 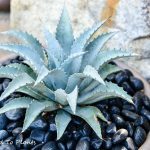 It is a really fast-draining soil, perfect for agaves. 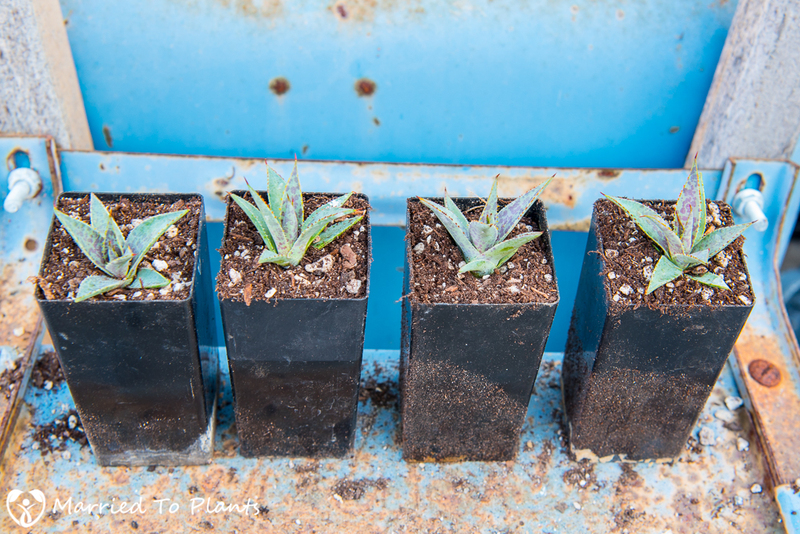 To help ensure my agave propagation is successful, I place all the plantlets in my greenhouse. 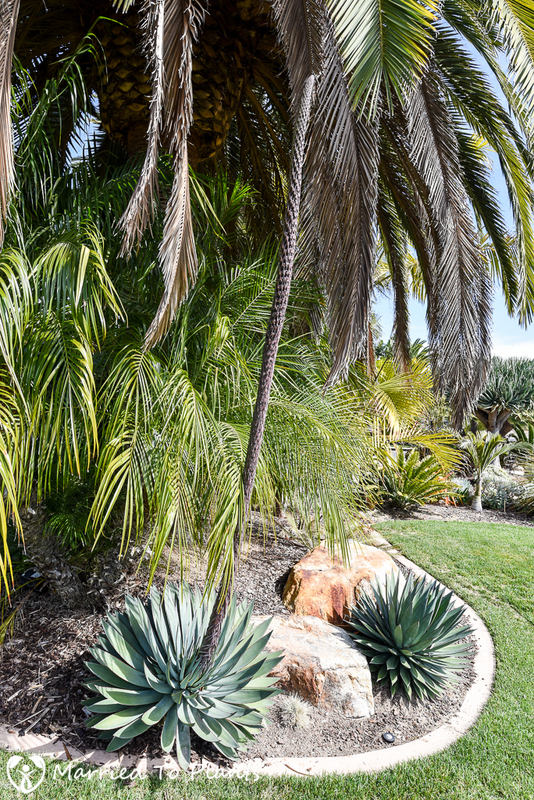 The extra heat and humidity are appreciated by these plants while they root out. That’s it. Now it is just a waiting game. If you follow this process you should have quick results and a high success rate. Hopefully I don’t jinx myself here, but I have yet to not root an agave from a bulbil following the steps in this post. I will update this post a few weeks down the road to show how much the bulbils have rooted into their bands. 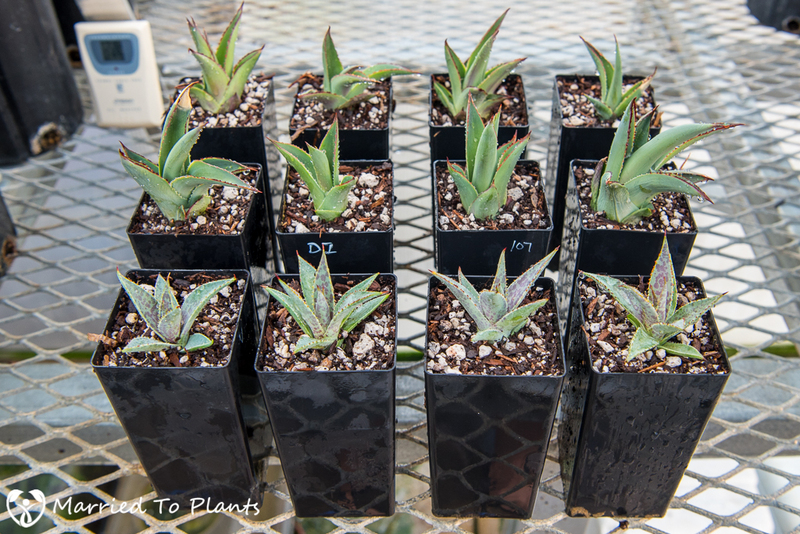 This update comes almost 3 months after I first propagated these agave bulbils. I ended up having a 100% success rate in rooting the bulbils and will now start to pot these up into 1 gallon containers. 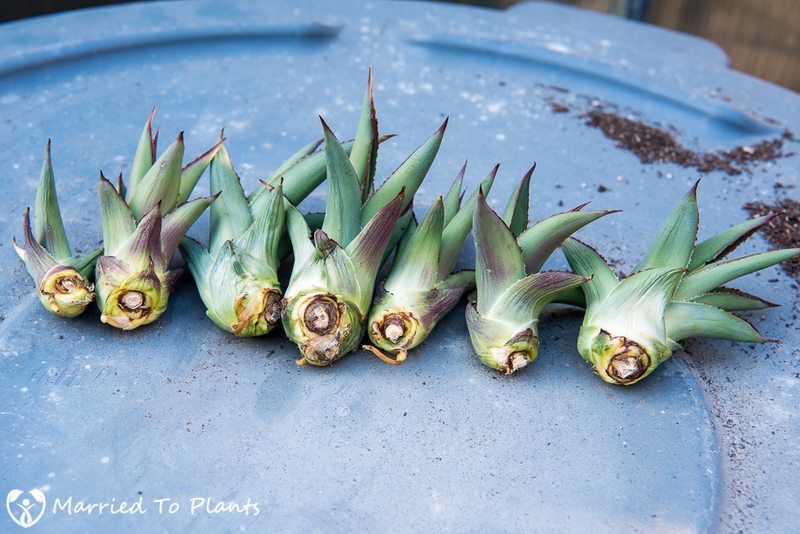 You can see below that my Agave ‘Blue Glow’ bulbils have grown very well and have developed a excellent root structure. I wasn’t totally convinced I would get all my Mangave ‘ Bloodspot’ bulbils to root. They can be a little more challenging as I mentioned earlier in the post. However, I ended up with great results with this propagation as well. You can see these Mangave ‘ Bloodspot’ are well on their way and have an excellent root system developing. Great Post. I recently damaged the roots of a small yucca plant I was moving and did not know how to care for it. 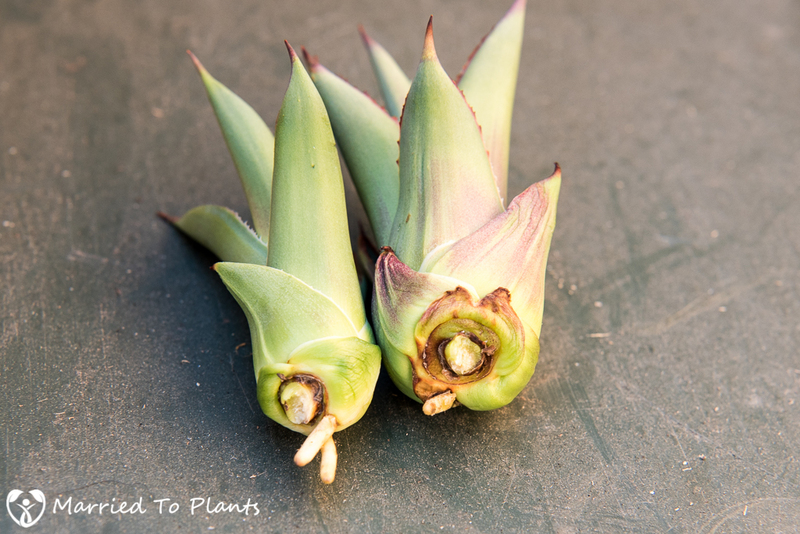 If I have already planted the yucca, should I uproot it to see if it’s rooting? If the plant looks happy, leave it. If you start to see it declining in anyway, I would dig it to see what the issue is. 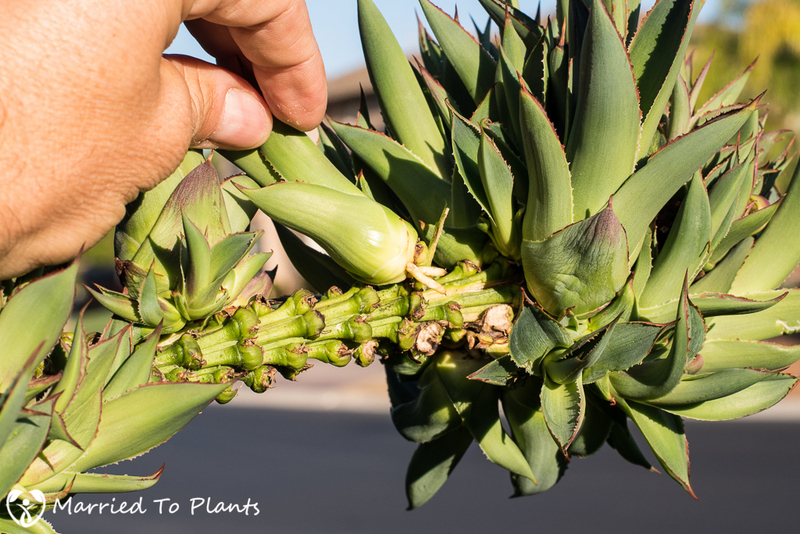 Yuccas are tough plants, so as long as it was planted in good draining soil I doubt it will have any problems from the root damage. What a helpful and timely post. I’ve had a couple of Bloodspot mangaves bloom before, but I never got bulbils. I wonder what determines whether they produce any. I have two Bloodspots with spent bloom stalks right now. No sign of bulbils. I was going to cut the dried stalk off, but maybe I’ll wait a little longer. Oh, if it is drying out you can cut it. It is gone. I asked around about this from your first comment and yes, it seems it is hit or miss on bulbils on these. I have been lucky I guess. Did you get any forming in the rosette itself? You should at least get a few there. Very hard to say with what little is written. The key thing is make sure the soil is very free-draining. Mine is flowering now but the flower stalk looks distinctly different than your photo. 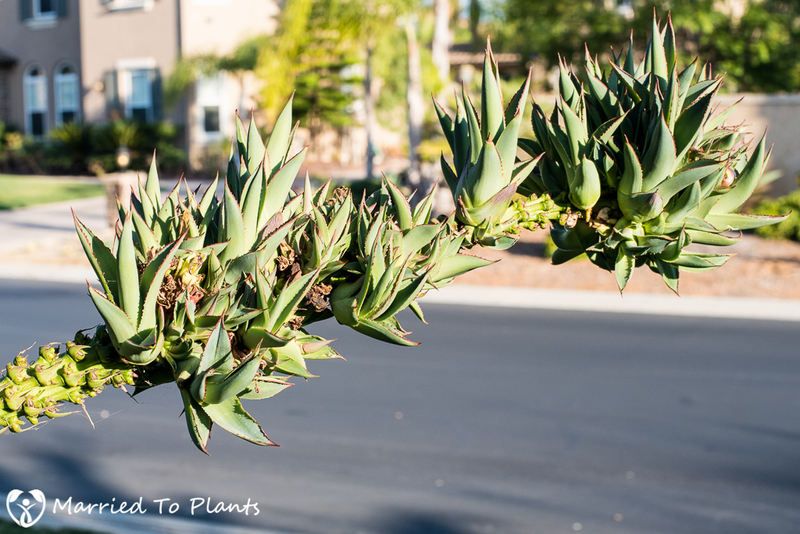 Do you have a photo of the stalk in bloom? I’d like to compare. No, sorry. I never took a photo of it when the flowers were open. That’s why yours looks different. I show mine as a spear and after flower.